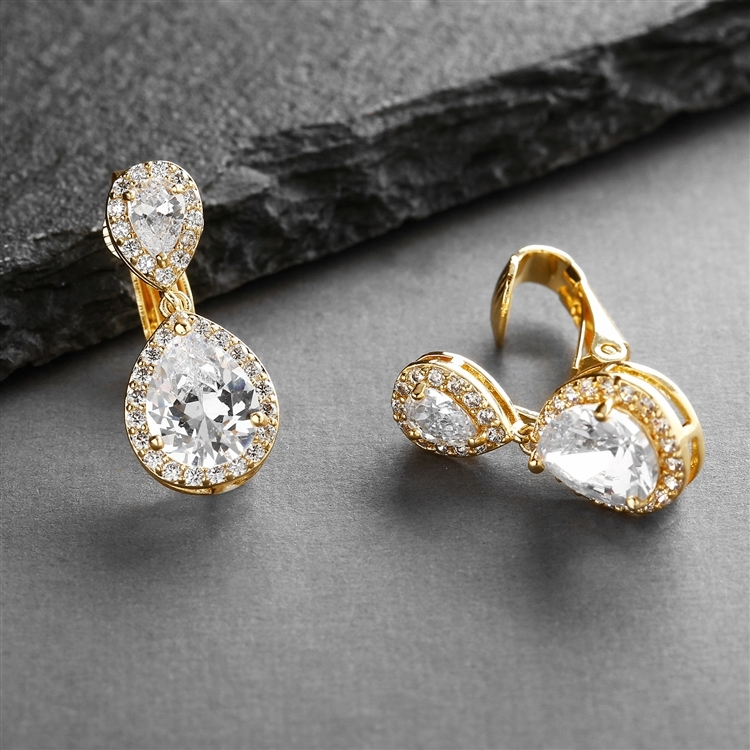 Good things come in small packages and Mariell's exquisite double teardrop Cubic Zirconia clip-on earrings are no exception! 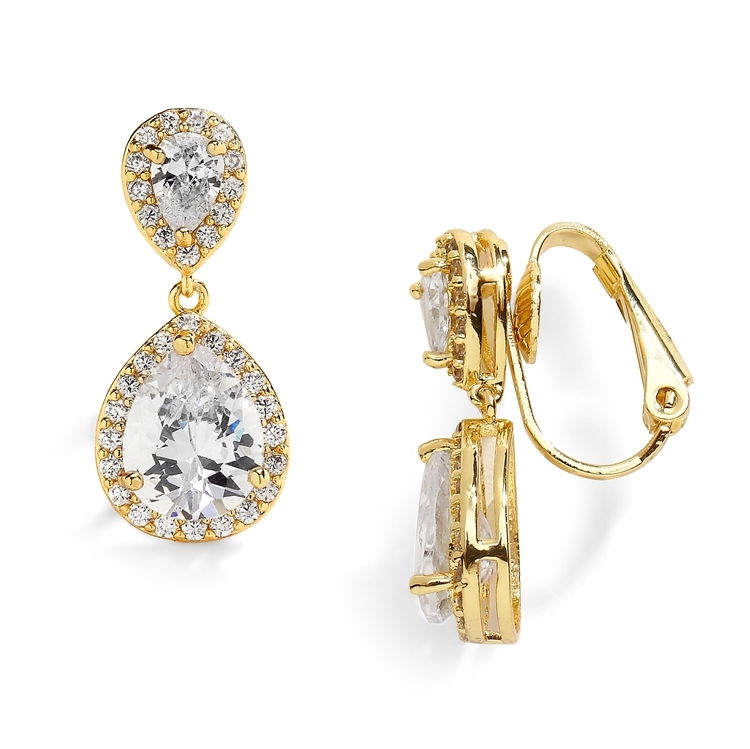 Despite their delicate size, these lustrous 14K gold plated earrings are glistening beauties. 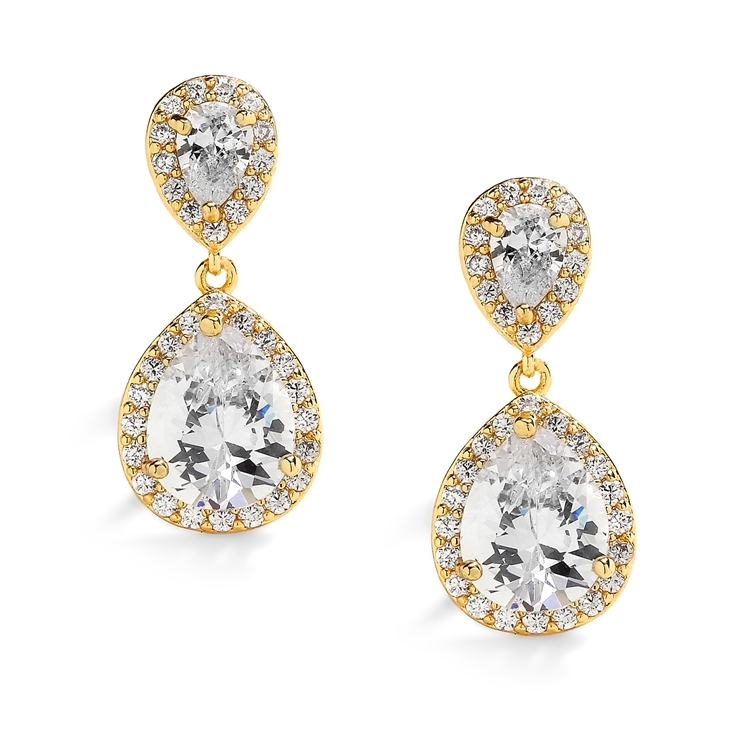 They feature glittering pear-shaped CZ in a pave teardrop frame. These gorgeous earrings are a stunning wholesale bridal accessory and make a splendid gift for bridesmaids or mothers of the bride.